Oh wow, I didn’t think the A-League TV ratings could get any worse than last season. FTA TV ratings that bad that they don’t even register. Television audiences remain a problem across the league. Some 69,000 people watched the Melbourne derby on Fox Sports, compared to 121,000 for the first edition of the rivalry last year. Figures for free-to-air audiences on One were unavailable. The other two Melbourne derbies in 2017-18 had Fox Sports audiences of 77,000 and 59,000. The Adelaide and Sydney season opener was watched by 67,000 people on Fox Sports, more than 30,000 less than the A-League's opening game last year. It was the lowest television audience for a season opener since 2011-12.
really bad Tv Ratings wise for the 1st round of the season..
strangely enough the A League in October & November is there strongest ratings month..
before it slips when the cricket season starts.. and really struggles for attention spotlight. but National audience of FOX is below. TV ratings have fallen off a cliff for the A-League this season. Leeroy, I suspect the average has dipped even further from your figures above as the season has progressed. As for the FTA tv ratings... let’s not even go there. Good points there Leeroy about the continual dive in ratings once the cricket season begins. Thought the following article was rather interesting. Bear in mind the time of publication and the tv ratings have fallen even further. As for the NBL, I'm not sure how they are tracking tv ratings wise??? I do know the Sydney Kings have been getting good crowds with their last home game at Qudos Bank Area (Homebush) being the biggest crowd they have attracted in a very long time. From memory 12,000+ fans. The similarities between Australian football and Australian basketball are obviously far greater than just the shape of the ball and their vast international appeal. Both are notionally cold weather sports operating national leagues in the summer to avoid Australia's footy-centric winter sports marketplace. Both have enormous grassroots participation — football has 1.15 million active participants and basketball 595,000 according to Sport Australia's latest Ausplay survey. Both are attracting encouraging crowds at the start of their new seasons: the NBL had a record first round total attendance of 48,820 while 40,000 turned up for Saturday's night's A-League Melbourne derby, with a similar crowd anticipated for the Sydney derby this weekend. Both are blessed and cursed by enormous international profile, the reflected glow of the NBA and European football leagues also creating unflattering comparisons with the local product. And — here is the rub — both the NBL and the A-League are struggling to convert their enormous participation and encouraging live audiences into the kind of TV viewing figures that will, inevitably, provide the funds needed to underpin their sustainability and growth. Adelaide played Sydney in both football and basketball on Friday night. 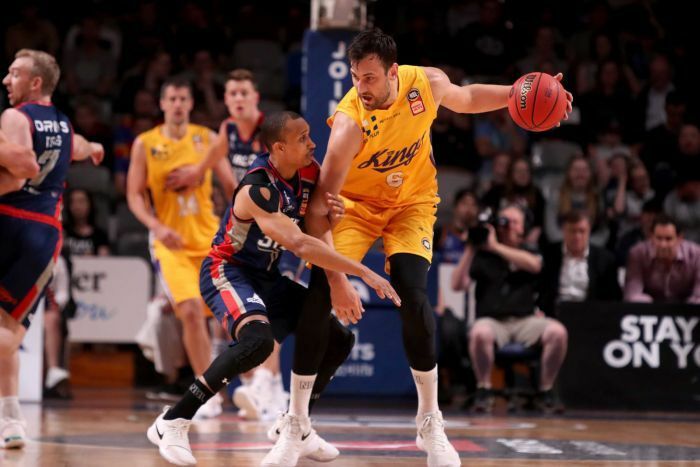 About 67,000 watched the A-League version on Fox Sports and only 28,000 watched the NBL match; a random sample but representative of the average pay-for-view audiences of both leagues. So how do we consider these two sports as they embark on what shapes as critical seasons: stadiums half full or TV rooms half empty? The optimistic view is that both the A-League and the NBL have the opportunity to build their live attendances and that TV figures will grow as fans become more fully attached to their clubs. The last part is vital because, as anyone who follows the AFL or NRL closely realises, people do not support the game itself. Their TV-watching, membership buying allegiance is through their passion for their chosen tribe. The NBL puts much store in a 'game-day experience' that includes constantly thrumming music, bouncing cheerleaders and strobing lights that seem somehow appropriate before, after and even during a high-octane sport. The challenge is to connect spectators attracted by the atmosphere to clubs through their stars and stories. This season the Tale of Two Tall Andrews — coach Andrew Gaze and NBA star Andrew Bogut's quest to make the Sydney Kings great again — seems the most compelling. The A-League flirted with the game-day experience model over the off-season, with threats that music would be played during corner kicks and other delays, horrifying purists. But the A-League's greatest asset is in the grandstands — the raucous, chanting fans who provide the game's most compelling off-field experience. Get the balance between the spine-tingling atmosphere created by singing diehards and the family-friendly environment right and, surely, week-to-week crowds would at least start to become as healthy as those for the big city derbies. Another key to improving local interest for both sports is bridging the international barrier and making comparison with big foreign leagues an attraction rather than a deterrent. With the best of the NBA and international football only the click of the remote control away, it is inevitable that some will consider the local competition as a pale imitation. In this regard it would seem the best solution is to create meaningful connections with the international leagues rather than pretend there is not a significant quality gap. The A-League has attempted to do this through the importation of marquee players, and the repatriation of experienced Australian stars. 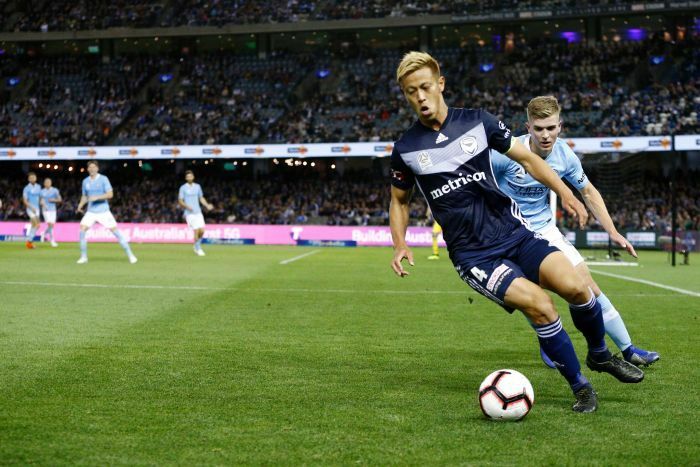 Keisuke Honda's immediate impact for Melbourne Victory on Saturday night was a good start — particularly in a season that threatened to be overshadowed by the novelty of Usain Bolt's role in Australian football's new reality show "The A-League Apprentice". 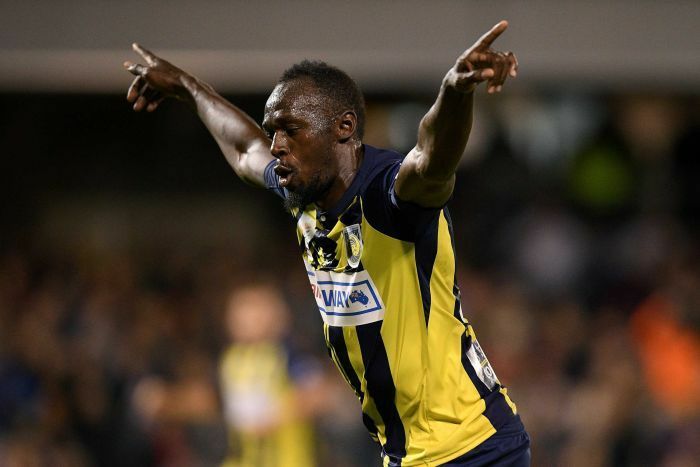 Yet while the A-League has steadily improved over recent years, it has mostly done so through the presence of so-called "second tier" European talent — players who have not quite made it in Europe but are bona fide club stars here. Marketed properly, these players should enhance the local scene and become Australian icons, like Besart Berisha and Thomas Broich. Yet, for the self-anointed football purist, the "failed in Europe, starred in Australia" story only — and very unfairly — hardens misconceptions about the A-League's quality. Meanwhile the NBL, with long memories of the Michael Jordan boom, is warmly embracing the NBA rather than fretting about any unflattering comparisons. Having NBL clubs play preseason games against NBA franchises — with Australian journalists taken along for the ride — was a clever marketing exercise. 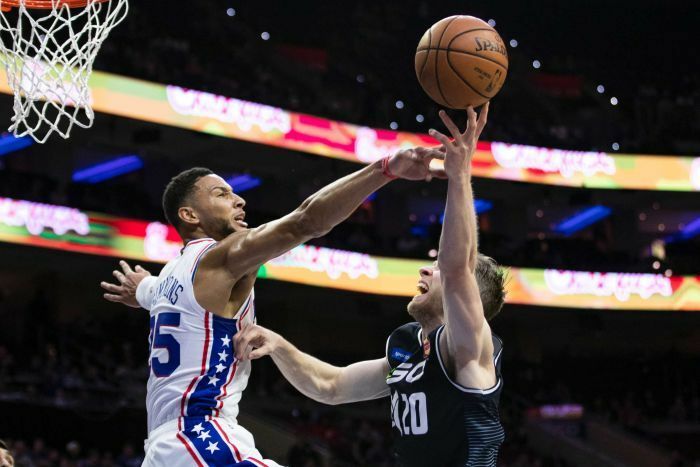 The NBL's greatest potential advantage is the large number of Australians now playing in the NBA, most significantly Philadelphia 76ers star Ben Simmons. But the enormous challenge is to parlay the feats of now distant homegrown stars into bums on seats and eyeballs on screens for NBL matches; which is why you can expect local major events committees to throw big money at the 76ers to tour Australia in the next few years. At the same time, football's first golden generation of quality exports has come and gone, having created enormous interest in the game through successive World Cup qualifications — as participation figures show — but not necessarily in the A-League. From the kick-off and the tip-off, converting apparent potential into a viable live and TV audiences is just another challenge Australian football and basketball share. I loled when Dave ummmmm aghhhhhhh Gallop took over sokka . As a Rl fan his ineptness was legendary yet some sokka fans thought or was a major coup signing him . The results are there for all to see . Crowds have gone backwards alarmingly . but somehow FFA fooled for this guy and yes look what has happened. be interesting how there Expansion goes..
anyone been seeing the A LEAGUE TV FIGURES OF LATE?? They are as low as This>> and many even lower but cannot get figures due to cut off point .. They'll have to take it cause no other media company will want a bar of that . but production costs are alot higher for A League. Lucky they have 4 years to go until next deal. Free to air tv ratings on Ten Bold are anyone's guess. I have no doubt they are abysmal though. Rumours going round that Foxtel actually wants to pay the FFA to stop broadcasting the A-League. eek!! !